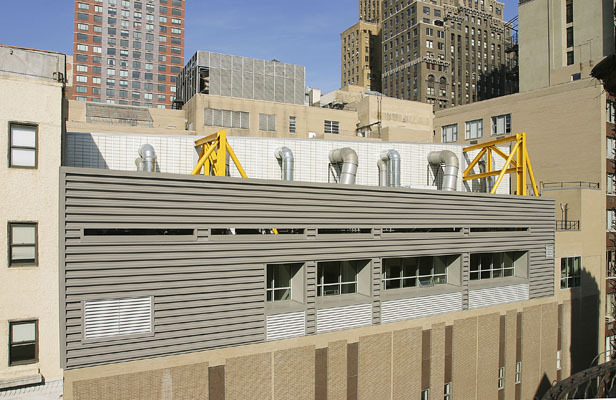 The first part of the comprehensive facilities plan that Helpern Architects developed for St. Francis College in downtown Brooklyn focused on new athletic and recreational facilities. However, without any available land, the gym had to be built on the roof of the existing athletic building. To strengthen that structure, Helpern Architects threaded new columns through the existing facilities. The new multi-purpose space accommodates physical education, practice, recreation, and large gatherings of people for a variety of academic and social events. 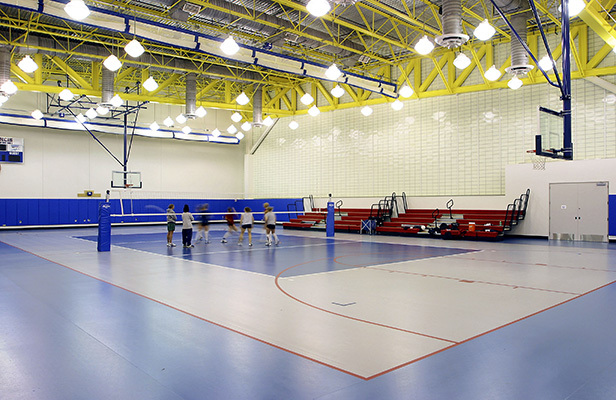 Insulated, translucent fiberglass wall panels enclose the Athletic center, creating an energy-efficient envelope that is naturally bright from daylight. Four massive trusses are canted to comprise the distinctive new roof. 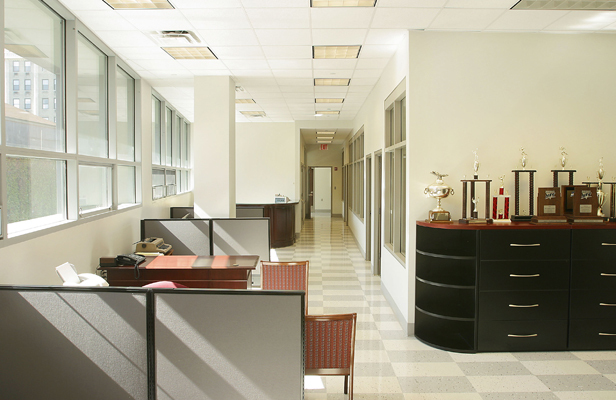 Related improvements consist of locker rooms, athletic offices, and a new fitness space. The below-grade pool gained a window wall that integrates it visually with the rest of the athletic complex.